Enhancing self-esteem, a win-win environment, more efficient work and more harmony in the workplace. His style is entertaining, fun, energetic, yet very direct. A longer training (5 to 8 hours) will dig deeper to resolve more specific personality issues and problems regarding team goals and efficiency. It can be a full day or broken down into two segments. Herb encourages a follow-up session to reinforce awareness and skills learned, give feedback, and provide more personal and fine-tuned leadership development and communication skills. 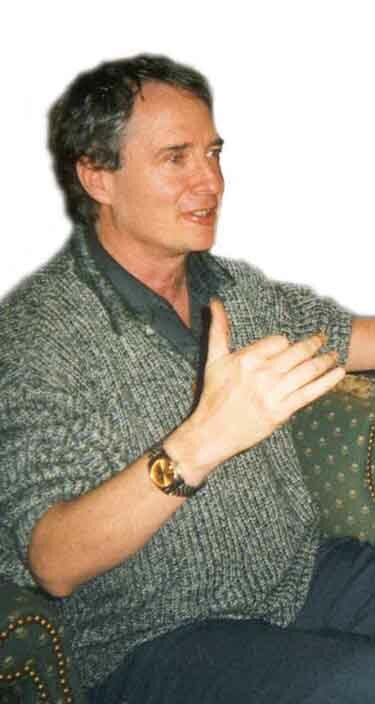 Herb can also give a presentation as short as an hour up to any time length. He's happy to talk or meet in advance in order for you to experience his unique presentations and trainings. Herb has also worked with numerous educational and growth centers, adult ed centers and singles organizations. He has taught for over 12 years at Northern Essex Community College in Haverhill, MA. 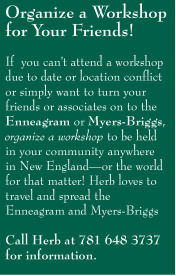 Herb has led numerous workshops in New England organized by his students.